There is nothing quite like a trip to a cabin. You are allowed time to exhale and fill your days with family, friends, fun, and hopefully a little sunshine. There are so many marvelous properties to rent in the Midwest during the summertime. If you are getting the itch to go JUMP IN THE LAKE, here are a few of our favorites. A stunning private property in the middle of the Chippewa National Forest, the Buckhorn Project is situated on the pristine waterfront of Caribou Lake. Offered exclusively through VRBO, these restored cabins offer complete solitude among the 90 foot pine trees of the Northwoods. If you need more reasons to stay, just check out their Instagram feed. The resort is not only gorgeous, it's a true labor of love for this family of five. There is a reason why Camp Wandawega gets a ton of press. A simple concept, no frills camp experience on a historic resort property. Individual accommodations for 6 - 12 people, with multiple rentals intended for a group. The surrounding amenities are extensive and intentionally vintage. There is even a children's book written about their tree house, which isn't available for rental, but instead a special communal space just for hanging out. This place is an airbnb gem. 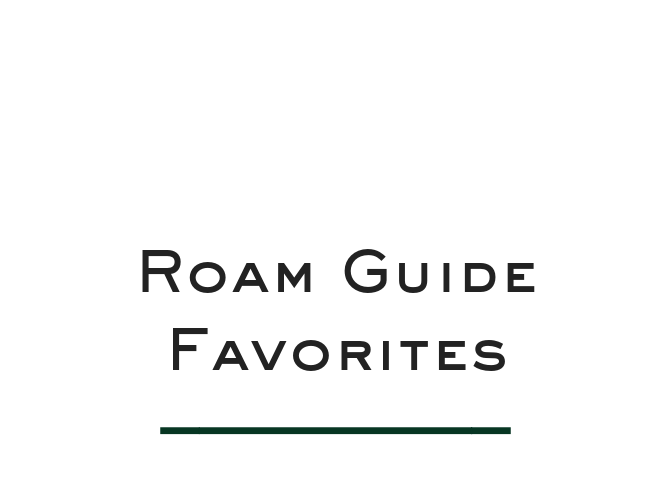 The perfect alternative to crowd favorites, Craguns and Grandview, this resort is situated on beautiful Bay Lake and there is no shortage of things to see and do. Woodland is exactly what you would expect from a Summer resort rental. It's great place to bring your family, meet friends and let your kids run free. If you have your own boat you can rent a slip, or you can secure a pontoon from the resort. It's always fun to arrive by boat for dinner at The Lonesome Pine. Rightly named the "Island of Happy Days," this lodge will fill your heart and transport you back in time. Listed in the book, 1,000 Places to See Before You Die, this idyllic island is a perfect getaway for people of all ages. There is so much and so very little to do, all at the same time. For everything you need to know about this lovely resort, see our full destination post here. Yowza, those views! Take a look at all of the cabins at Candlewood, and try to pick a favorite. We are partial to the Meadow House (pictured), but understand why the Glass House is highly coveted. Every cabin is a reminder of all the beauty the Midwest has to offer, and each is a one-of-a-kind getaway. Yes this makes six, but we can't help ourselves. 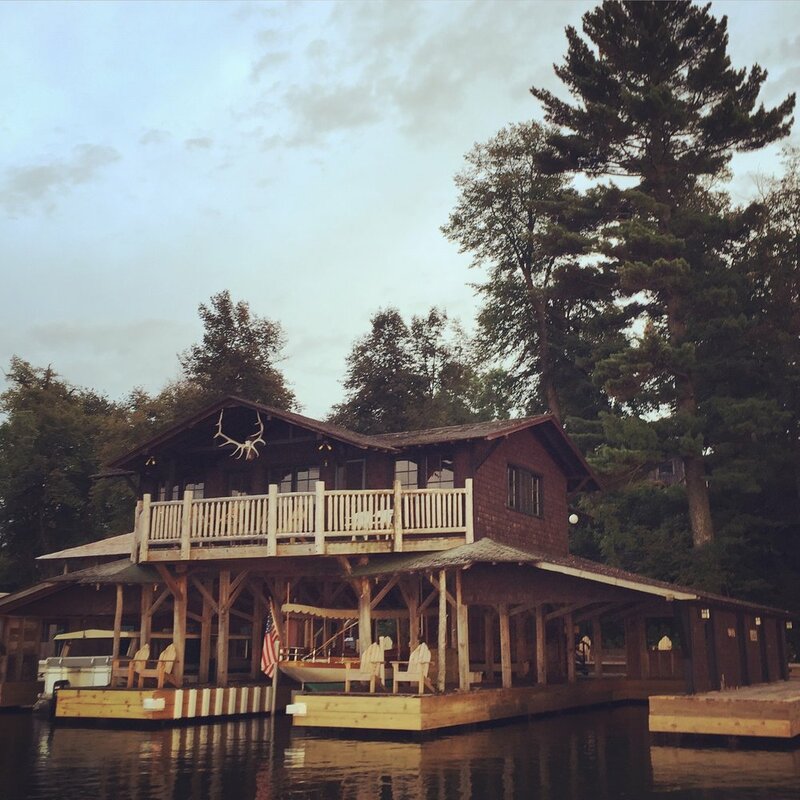 This Mom and Pop resort on Two Inlets Lake will take you back to simpler times. A tradition for many families, you don't need your own cabin if you have Brookside. Of course you can take a dip in the lake or the pool, but they also offer kids activities, Bingo night, mini golf and an ice cream fountain. This is the epitome of Midwest lake living. What are we missing? Tell us your favorite Midwest Cabins in the comments below.